Angel Jordan, who played a pivotal role in establishing Carnegie Mellon University as one of the leading engineering, computer science and robotics institutions in the world, died Friday. He was 86. Jordan, University Professor Emeritus and a member of the prestigious National Academy of Engineering, served as CMU’s provost from 1983 to 1991, and was dean of the College of Engineering from 1979 to 1983. Among his many leadership roles, he was also head of the Electrical Engineering department, where he was instrumental in establishing the college’s focused strengths in engineering design and computer engineering. He made key hires as department head, establishing CMU as highly ranked nationally in several key areas: computer engineering (Sam Fuller, Dan Siewiorek), magnetic recording later an NSF Engineering Center DSSC (Mark Kryder), and design automation (Steve Director, Ron Rohrer) — all five became members of the National Academy of Engineering. He had founding roles in several of CMU’s signature programs and institutions, including the School of Computer Science, the Software Engineering Institute and the Robotics Institute. "Angel Jordan helped to define the spirit of Carnegie Mellon — technically excellent, creative and entrepreneurial. We will miss him dearly, but he has embedded in us these important qualities that make us Carnegie Mellon," said College of Engineering Dean James H Garrett, Jr.
“I am heartbroken, he has had a tremendous impact on ECE, and the entire university. I fondly remember when he would stop by to see how I was doing as a young department head,” said Jelena Kovačević, Hamerschlag University Professor and head of the Electrical and Computer Engineering Department. Jordan was dean of the College of Engineering in 1979 when he joined with Raj Reddy, a computer science professor, and Tom Murrin of Westinghouse Electric Corp. to create the world’s first Robotics Institute. The institute was the first to establish a Ph.D. program in robotics and remains the world’s largest academic robotics research center. Reddy, who would become the first director of the Robotics Institute and would later serve as SCS dean, said Jordan’s roles as head of the electrical engineering department, dean of engineering and provost placed him at the center of some of the most important transformations of the university from 1970 to 2000. “He was actively involved in all of it,” Reddy said. Even after his retirement, Jordan was an active participant in the Software Engineering Institute, he said, continuing to direct programs there. Later, as provost, Jordan championed the idea of elevating the Computer Science Department to the college level, creating the School of Computer Science, which is consistently ranked at the top of U.S. graduate programs in computer science and whose graduates are highly prized by industry. Andrew Moore, dean of CMU’s School of Computer Science, said many in the school are grateful for his huge contributions to CMU and SCS. “I know that throughout my entire career I have benefited from his warm advice, and the way that he was a role model in being a warm and decent human being,” Moore said. Jordan also played a lead role, along with A. Nico Habermann, head of the Computer Science Department, in convincing the Department of Defense to establish its Software Engineering Institute (SEI) at CMU. For over three decades, the (SEI) has been helping government and industry organizations to acquire, develop, operate and sustain software systems that are innovative, affordable, enduring and trustworthy. The SEI is a Federally Funded Research and Development Center (FFRDC) sponsored by the Defense Department. Jordan was born in Pamplona, Spain, and received an undergraduate degree in physics at University of Zaragoza in 1952. In 1956, he came to Pittsburgh to what was then the Carnegie Institute of Technology (later CMU) to earn a Ph.D. in electrical engineering. He joined the faculty as an assistant professor of electrical engineering after receiving his degree in 1959. He became a full professor in 1966. 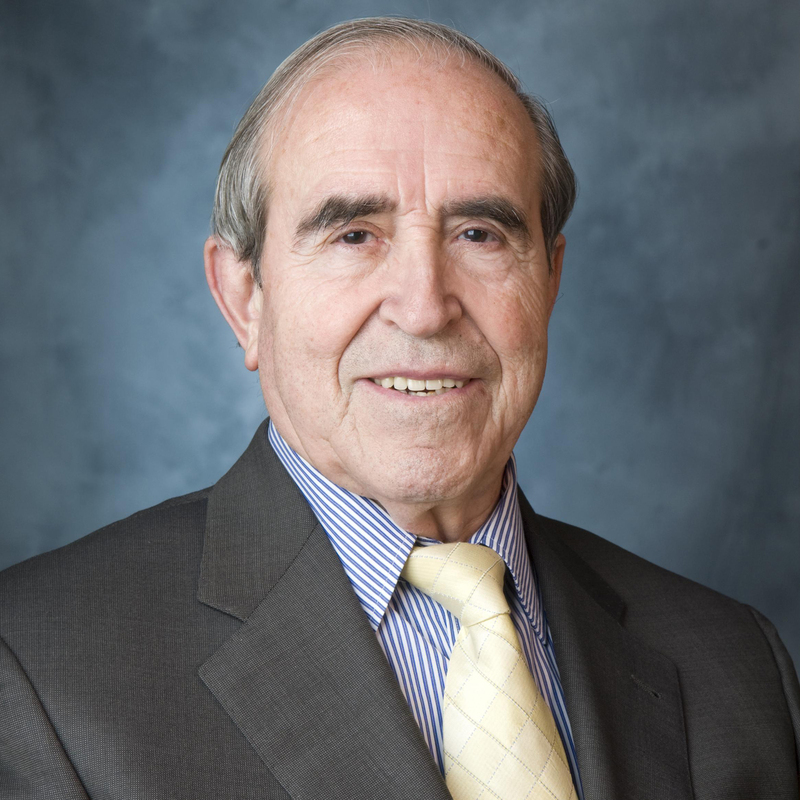 He would chair the electrical engineering program from 1969 through 1978, before becoming dean of the college. Jordan became a professor emeritus in 2003. In May 2017, several family members were on hand as the College of Engineering celebrated the awarding of the first Angel Jordan Early Career Professorship to Assistant Professor of Electrical and Computer Engineering Vyas Sekar. Services will be private. In lieu of flowers, donations may be made to the Angel Jordan Early Career Professorship fund.